In a video appeal, British Muslims were told they should not get involved in armed conflict but were asked to give "every assistance" to those fighting against ISIS. The video by Sayyid Fadhel al-Milani, an Imam from the Al-Khoei foundation in West London, came after a call during Friday prayers in Iraq by Ayatollah Ali al-Sistani, one of Shia Islam's most revered clerics, for citizens to bear arms and sign up for the military. Thousands of Iraqis have already heeded Sistani's request to fight Isis's forces, who have openly declared their intention to massacre Shias and destroy their holy shrines in the cities of Karbala and Najaf. 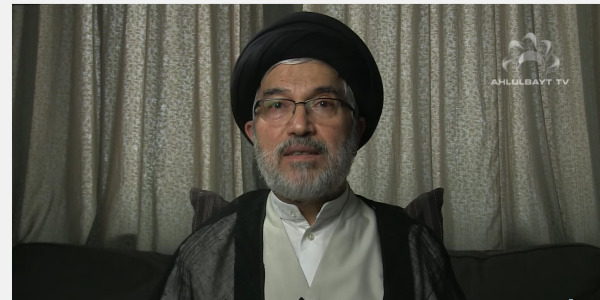 In his video, which was uploaded on to YouTube, Sayyid Milani said Iraqi Shias would "struggle and resist" until their "last drop of blood" but said there was "no need for anyone from outside to come and help". He described ISIS as "a group of terrorists" who felt "free to destroy everything, to rob, to kill and to sack" people's homelands. He stressed the fight was not a sectarian one between Shia and Sunni but a battle to defend the nation and that Shia would "struggle and resist all of this until [the] last drop of blood in our veins...there is no need for anyone from outside to come and help them because they are capable of doing so [themselves]. "It is the duty of all those who seek and are after justice, freedom … here to support them to offer them every assistance," he added, so that those in Iraq did not feel abandoned.